Our weekend program, FamilyLife This Week®, is hosted by Michelle Hill and features marriage and family experts like Dave and Ann Wilson, Bob Lepine, Ron Deal, Dennis and Barbara Rainey, and others. We all face various pressures in our marriages, families, and other valuable relationships…that’s why FamilyLife This Week offers a fresh, engaging dose of practical encouragement and “help for today, hope for tomorrow” to live out your faith in an ever-changing world. Radio has been ingrained in Michelle for most of her life. This love for radio has taken her to various radio stations and ministries in places like Chicago, Alaska and other snow covered terrains like her hometown in north central Iowa. In 2005 she landed on staff with Cru/FamilyLife®. While at FamilyLife she has overseen the expansion of FamilyLife Today® internationally, giving leadership to the creation of the Spanish program Vida en Familia Hoy®. She assisted with the creation of Passport2Identity™-Womanhood and is now the host of FamilyLife This Week®. 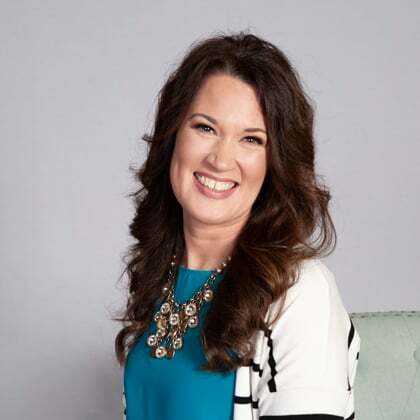 As a voice talent for FamilyLife you can hear her on FamilyLife’s Weekend to Remember® promotional spots and the radio short feature FamilyLife Blended®. For the last 15+ years Michelle has been mentoring young women and is passionate about helping them find their identity in God. She also gives leadership to the Women’s Ministry Team at her local church. Michelle makes her home in Little Rock, Arkansas.